Steeton lies around 2 miles north-west of Keighley, in the Aire valley on the millstone grit of the Upper Carboniferous Period. 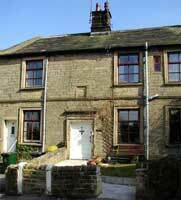 It is within the parish of Kildwick and the wapentake of Staincliffe. 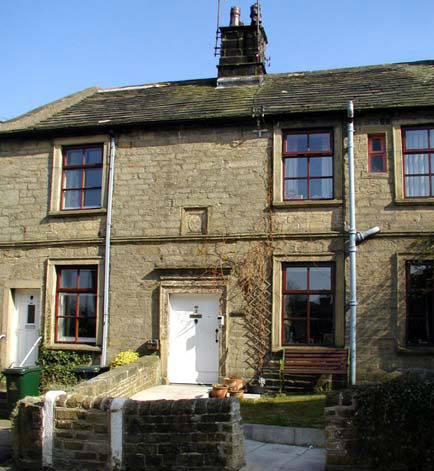 At approximately 350 feet above sea level the village of Steeton can boast a General hospital, a church and a Methodist chapel & a public house. Steeton Beck is the reason for the village’s existence. 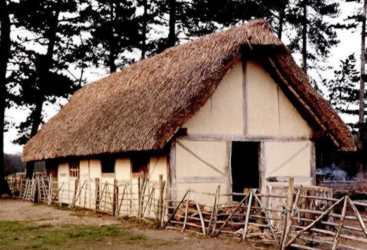 It provided fresh water for the early Saxon inhabitant’s and later provided power as the village developed. 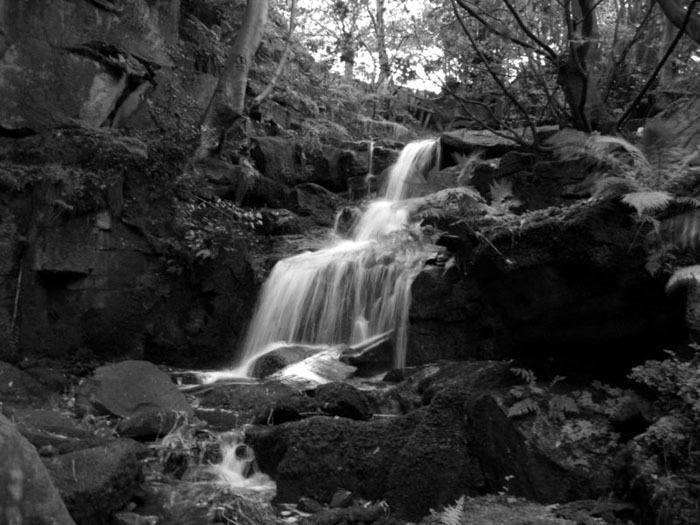 The course of this beck is now largely obscured as it passes through the village, but it begins life as two separate streams above Whitley Head. These run parallel courses through “ Charnock” (or Redding Wood), along the side of Barrows Lane, where it was dammed to provide power for the old Woodlands Mill (worsted spinning) & the Bobbin Mill. Woodlands Mill dates from 1812 and was built by Thomas Pearson & Sons. In 1847 the mill was purchased by John Clough, but the company failed in 1939. The Bobbin mill was international renowned for the quality of its bobbins. It was demolished in the 1980s, to make way for residential housing. 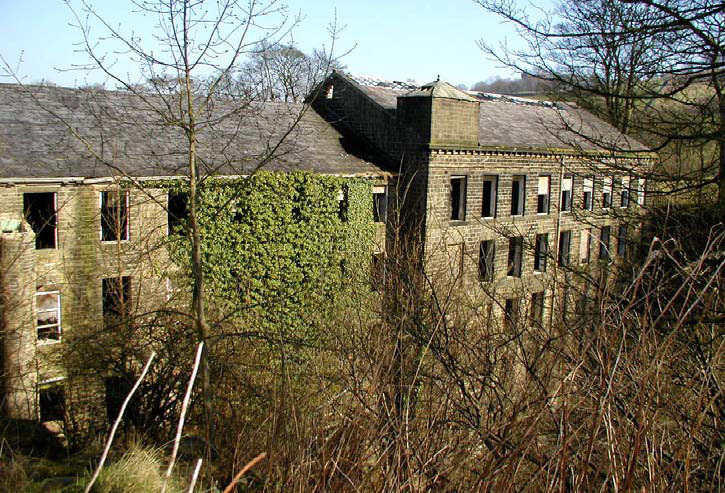 Woodlands Mill became dilapidated, but was converted to residential housing in 2005. The two streams of Steeton beck converge into one before running under High Street, where it emerges briefly by the transport café (originally the telephone exchange); here it was also dammed to provide power for the Old Corn Mill (now demolished), before running under Skipton Road and re-appearing in a beautiful stretch through the War Memorial Grounds (formerly the ‘Rookery’) and then past Steeton Hall. It is then channelled through a concrete tube under the new dual carriageway to join the River Aire. Prior to the Romans, the area around Steeton and most of West Yorkshire and Craven was inhabited by a warlike Celtic race known as the Brigantes; although there exists no substantial evidence of such ancient settlements (usually hill forts) in the immediate area. Some archaeological artefacts, including a Bronze-age axe and a 3rd century Roman coin, have been found in Steeton. In 1998 Mr Jeff Walbank of Silsden made a remarkable discovery of 27 British Iron Age coins, known as “staters”. The treasure trove, known as the ‘Silsden Hoard’, also included the badly corroded remains of an iron Roman finger ring, set with an engraved semi-precious stone, or “intaglio”. What makes the Silsden Hoard unusual is that the Brigantes never produced their own coinage – all the coins came from other tribal areas, mostly from the Thames region. The Hoard is thought to have been brought to the area by refugees fleeing the Roman military advances, seeking Brigantian protection. When the Romans invaded in 47 AD. the Brigantes, under Queen Cartimundua, were originally co-operative to the Romans (in fact Caratacus son of Cunobelinus of Colchester, who led a counter attack against the Romans for six years was betrayed to the Romans by Queen Cartimundua), but they later revolted against the invaders. There is some evidence of Roman roads running through the village; joining the garrisons at Colne, Ilkley and Halifax. The straight stretch of road along Hollins Lane follows the route of an old Roman road between Bradford and the Roman fort at Elslack (I.D. Margary, Roman Roads in Britain, 1973, p407), and an excavation in 1921 revealed an undisturbed 16ft wide section, with kerbstones and with an 18″ camber. It is also said that the remains of what was possibly a Roman station or fort was found when Steeton Moor was broken up at the beginning of the 18thcentury. The village of Steeton dates from the Saxon period around the time of Alfred the Great. The name ‘Steeton’ is thought to derive from the township’s first Saxon possessor, Stephen, hence ‘Stiverton’ or ‘Styveton’ – literally “Stephen’s town“. This connection also provided the inspiration for the choice of title for the parish church; dedicated to Saint Stephen. Another possible derivation of Steeton is from the Old English elements: stylic, a stump, and tun, a farmstead – hence a farmstead built of, or amongst, stumps (Smith 1961). In circa 597 A.D. Christianity was introduced to England and around this time Steeton, along with most of the Craven area, belonged to Swain Fitz Arlic. In Saxon times Steeton consisted of a few wooden houses (probably in the area around Steeton Hall), one storey high, thatched in rushes with shingle thrown over to keep the wind from blowing it away. There were no chimneys just a hole in the roof for the smoke from a fire in the middle of the dwelling. The next possessor that we know about was the great Saxon thane, Gamelbar (of Spofford), who is mentioned in the Domesday Book and he held the village among many other possessions in the years leading up to the Norman Invasion. Gamelbar de Spofford’s grandfather was a prominent Northumbrian thane called Orm. It is thought that Orm was born around 965 and was already dead when Edward the Confessor was crowned in 1043. The name Orm shows the family was of Danish (Viking) descent. Gamel, the son of Orm & father of Gamelbar, had large possessions in the counties of York, Lincoln, Derby, Stafford, Salop and Chester. They were laid waste soon after his death around 1065. It is probable that he also had estates in the other Northern counties to which the Domesday survey did not extend. Gamel did not live to see the downfall of his country, and the ruin of his family and of his friends, caused by the Norman invasion, for before that time he had been treacherously murdered by Tostig Godwinson. This Tostig had been made Earl of Northumberland in 1055 after the death of Earl Siward. Gamelbar (the son of Gamel) promptly avenged his father’s death by an attack on Tostig culminating in a revolt of the Northumbrians in 1065. King Harold went to York to restore tranquility and Morcar was made Earl of Northumberland the same year. Tostig fled to Norway and in 1066 induced the King of Norway to join him in an invasion of England. Together they stormed York and defeated Morcar, but were themselves defeated by Harold at the Battle of Stamford Bridge near York on 23rd September 1066. Both Tostig and the King of Norway were slain. A mere ten days after this victory at Stamford Bridge Harold himself was defeated and killed at the Battle of Hastings. Thus the murder of Gamel led directly to the battle at Stamford Bridge, which prevented Harold from giving his whole energies to guarding against the impending invasion of William the Conqueror, and so could be seen as contributing of the downfall of the Anglo-Saxons. Gamelbar was an active participant in the attempt to free his country of the Normans in 1068-9, but he was forced to submit to William the Conqueror. All of his estates were confiscated and it is probable that his life paid forfeit for his patriotism. William the Conqueror gave Steeton, along much of the land in Craven, to Gilbert Tyson (or Tison), who had been William’s standard-bearer at the Battle of Hastings. 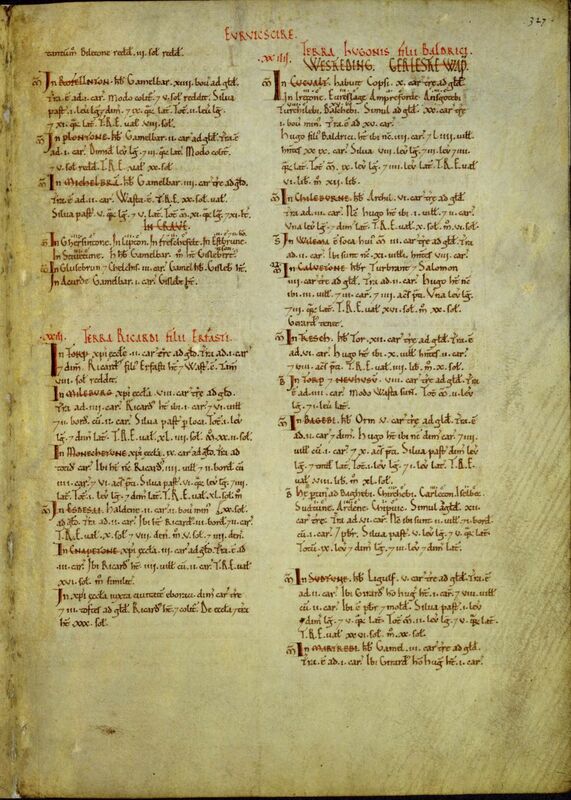 Steeton is mentioned on Folio 327r of the Great Domesday Book of 1086 as “Stiuetune” or “Stiverton”. The Domesday Book merely states that Steeton was 2 carucates in area (a carucate being approximately 120 acres) and that it had belonged to Gamelbar, but it now belonged to Gilbert. The Tyson family forfeited the land for their part in an attempted rebellion in 1095 against William’s son, King Rufus, and the Percy family acquired the Baronial Rights over Steeton from the Crown, and then held it for about four centuries. 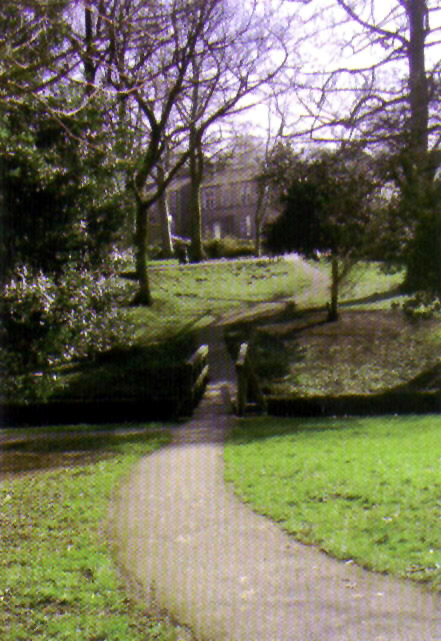 The Percy family were replaced by the Cliffords of Skipton Castle in 1485 in the reign of Henry VII. Under-lords of the Percys from the 12th century were the De Stiveton’s, perhaps the most famous member of this family being Robert de Stiveton, who accompanied King Richard I on two Crusades to the Holy Land. 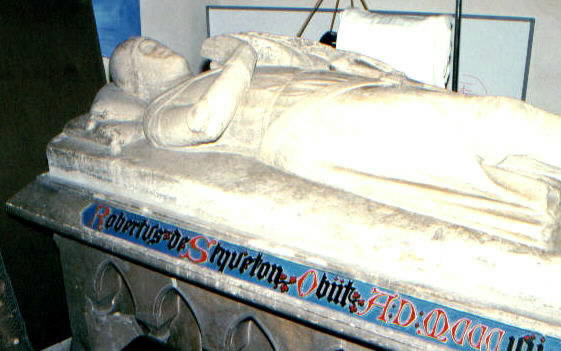 He died in 1307 and his recumbent statue is still to be seen in Kildwick Church. From the 15th century the Plumpton family were the under-lords following the De Stivertons, and at the beginning of the 17th century the Garforth’s bought most of the village. Between 1600 and 1613 much of the land of Steeton, including Steeton Hall, was sold to William Garforth, by the heirs of the Plumptons. 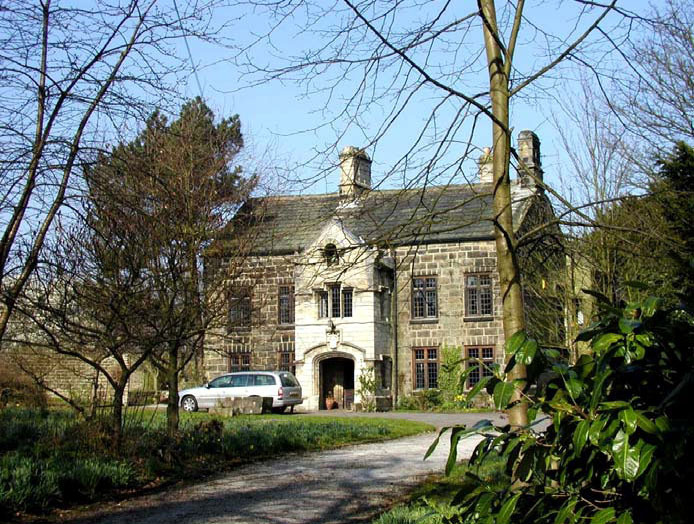 The Garforth family had lived in Steeton Hall for many generations from 1470 to 1811, originally as principal tenants and then as owners. STEETON-WITH-EASTBURN, a township in Kildwick parish, W. R. Yorkshire; on the Leeds and Skipton railway, 3 miles NW of Keighley. It has a station on the railway, and a post-office under Leeds. Acres, 2,043. Real property, £7,417. Pop., 1,341. Houses, 270. Park House and Hobhill are chief residences. There are a large worsted mill, a bobbin mill, and quarries. 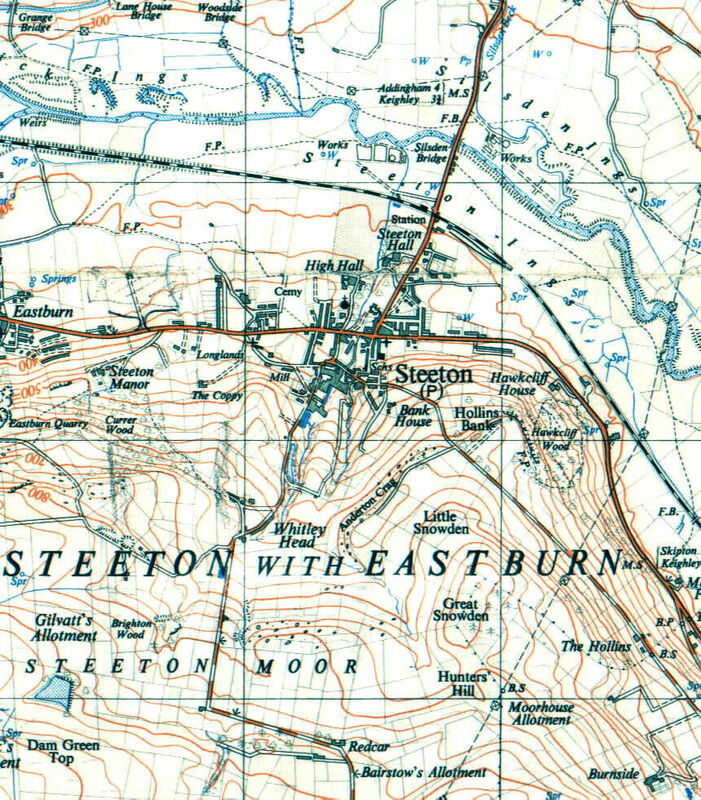 The borders of Steeton with Eastburn have changed twice: in 18 Aug 1882 Eastburn was enlarged by the inclusion of Green Croft and Kiln Hill from Sutton, and on 1 Apr 1896 the border between Steeton & Silsden was adjusted to reflect changes to the course of the river Aire, which had taken place 30 years earlier (between 1862 and 1864), in order to lessen the flooding at Kildwick. 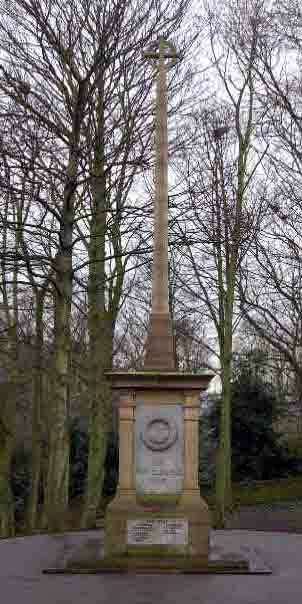 Steeton’s War Memorial and Memorial Garden was donated by Mr Samuel Clough of Steeton Hall in 1919; the war memorial, in the shape of a 40ft high column was designed by Mr Godfrey L. Clarke and cost £900. 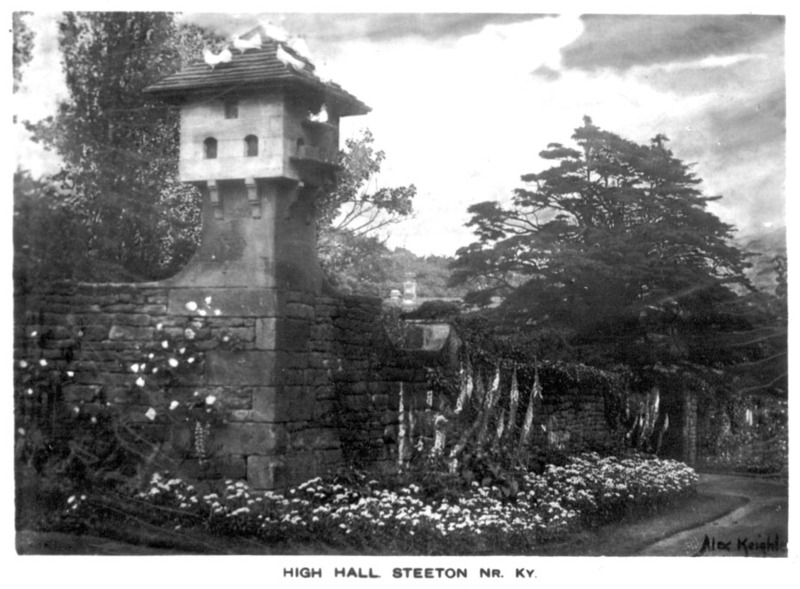 It was erected on what had been the old drive into Steeton Hall. 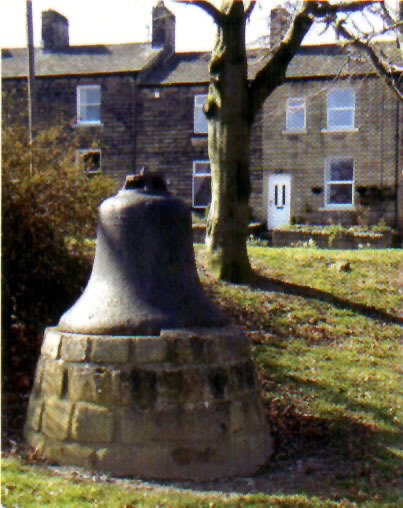 A captured German gun was placed in the Memorial Ground, but this caused a great deal of resentment in the village and it was thrown into the beck, but afterwards recovered. In 1920 Steeton’s War Memorial was officially unveiled and dedicated, but only a few weeks afterwards the tall column was destroyed by a storm. It was re-erected following additional strengthening. When Samuel Clough died in 1935 he left £1,000 for the continuing upkeep of the war memorial & gardens. During the Second World War an air-raid shelter was constructed in the memorial gardens, and in 1948 a further plaque was unveiled on the War Memorial to commemorate the 9 men who gave their lives in WWII; the duty was performed by Mr Gilbert A. Keighley of the High Hall. 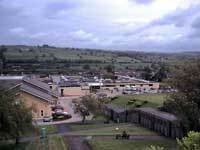 During the Second World War Steeton had a large Munitions Factory and Testing Facility, near the station where the current Damart factory is located. It was the extension to the Munitions Testing Facility that led to the compulsory purchase of Steeton Cricket Club’s Elm Field Ground, and the move to the current Ground at Summerhill. Interestingly the Munitions Factory is totally absent from the Ordnance Survey map of 1958. After the war the Munitions Factory became a HGV Testing Station before the arrival in the 1970s of Damart. 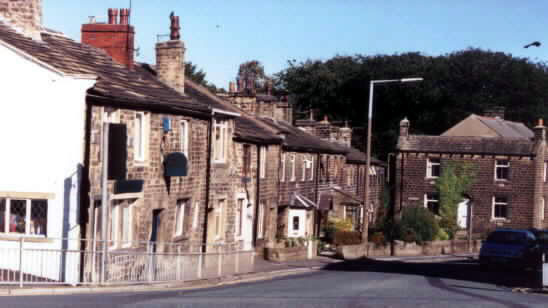 Prior to the building of the Aire valley trunk road in 1990, the main road through Steeton was built in 1782. The Keighley & Kendal Turnpike Trust (formed in 1753) was responsible for these road improvements, and collected tolls at Toll Bars to finance them: Steeton Cross (at the bottom of High Street) from 1753 until 1782, then at Bar House Lane in Utley from 1782 until 1823, and finally at Hawkcliffe Cottage from 1823 until 1878. The Turnpike road replaced the Old Bank road, which came from Keighley along Spring Gardens, and Hollins Lane (this was an old Roman road to Elslack) into the village down High Street, along Chapel Road, Pott Lane and on to the Lyon at Eastburn. As well as being the main Keighley – Skipton road, this was extensively used before the industrial revolution as the “pack horse route” joining the wool producing areas around Colne and Skipton with the weaving and spinning centres of Halifax and Keighley. In 1782 the main road altered its course down Bar House Lane at Utley and along its present route through the village. In 1825 the turnpike was removed from this stretch of road and the main road from Keighley via Utley to Steeton was completed with the Bar House moving to Hawkcliffe. The traffic lights along with the 30mph speed limit were both introduced in 1935. The road beyond Steeton Top to Eastburn & Kildwick was administered by two different Turnpike Trusts, who came to a mutual agreement that neither would erect Bar Gates & collect tolls along this stretch of the main road. It is interesting to note that prior to the completion of the Turnpike Road, there was a second route, called ‘Dark Lane’ between Keighley & Steeton. This was only used on foot or as a bridleway. 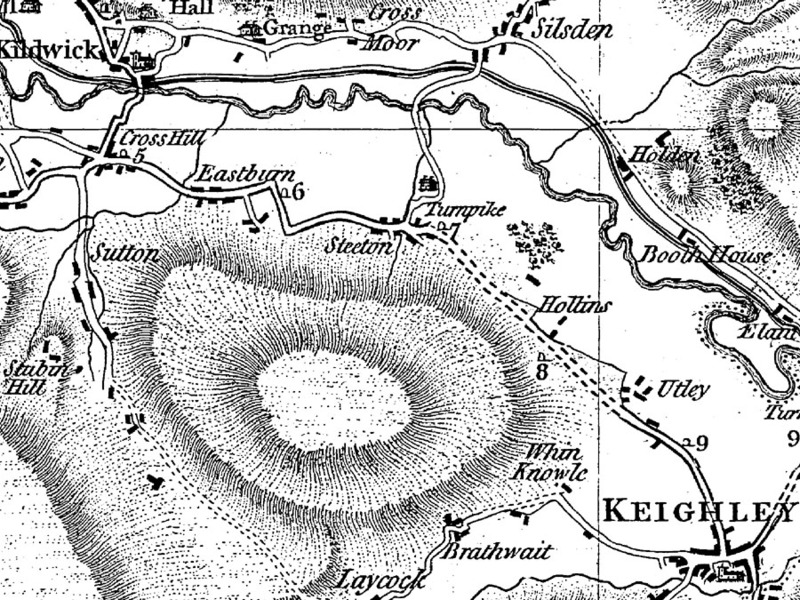 It went from Keighley via Low Utley, and a winding route close to the river, looping up at Hawkcliffe, before arriving in Steeton along Summerhill Lane to the area of Steeton Hall called the Dog-Kennel. This route would avoid the Turnpikes so efforts were made to discourage travellers from taking Dark Lane. The railroad cut across much of its route in 1847, and Dark Lane was finally closed by the Keighley Corporation Act of 1891. Another route that had fallen into disuse by the middle of the 19th century was called Wood Street. Wood Street was a bridleway that led directly northwards from roughly what is now the entrance to Airedale Hospital. The bridleway crossed the then main Keighley-Skipton road at a place called Nanny Grave Hill (the site of a 17th century suicide), where Pott Lane met Lyon Lane, and continued northwards, fording the river Aire and continuing up the far hillside to Kildwick Grange. The road to Silsden, now called Station road, has also followed a number of routes as it follows its course towards Silsden. As witnessed by Jeffrey’s Map of Yorkshire 1771, the road originally went far closer to Steeton Hall, before snaking towards Kildwick, and fording the river Aire to the west of where Steeton beck joins the river. This is about 50 yards up-stream of the current bridge, at a place that was called “The Streams”. While horse-drawn carts & wagons had to ford the river (or travel around via Kildwick if the river was too deep), there was a foot-bridge, near the point where Steeton beck flows into the river Aire. With the coming of the railway in the mid 19th century the road from Steeton top to Silsden altered it course further away from Steeton Hall, and directly towards the Station. Evidence of this can be seen by by looking at the gardens of the houses at the top of Station Road; the old houses date from 1732 and indicate the path of the older road, but the newer route for the road veers away to the right. At this time the road crossed the railway at a level crossing, but in 1990 when the dual-carriageway along the valley was built the course of Station road was again altered: taking it slightly to the west and over the railway on a new bridge. The railway came to the area in September 1847 with Steeton stationmaster’s house being the grand building to the south-east of the old level crossing. 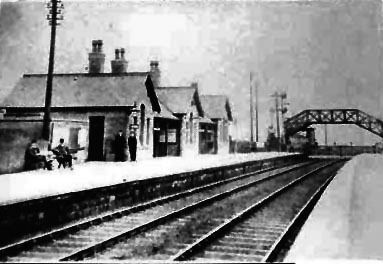 In 1891-2 the station was enlarged with a new station building situated to the Skipton side of the road and the Silsden side of the railway line; diagonally opposite the station master’s house. Before the alterations for the trunk road in 1990, the road from Steeton to Silsden had no bridge for cars, which had to use a level crossing – there was however a footbridge. 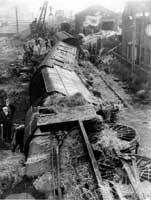 In 1943 train crash occurred at Steeton. The Leeds-Edinburgh express train collided with a freight train being shunted into a siding at Steeton. The scene of destruction lay along 200 yards of track on either side of the level crossing. The express engine and first carriage were lying on their sides across the level crossing being on top of 10 wagons of the freight train, which were smashed to pieces. 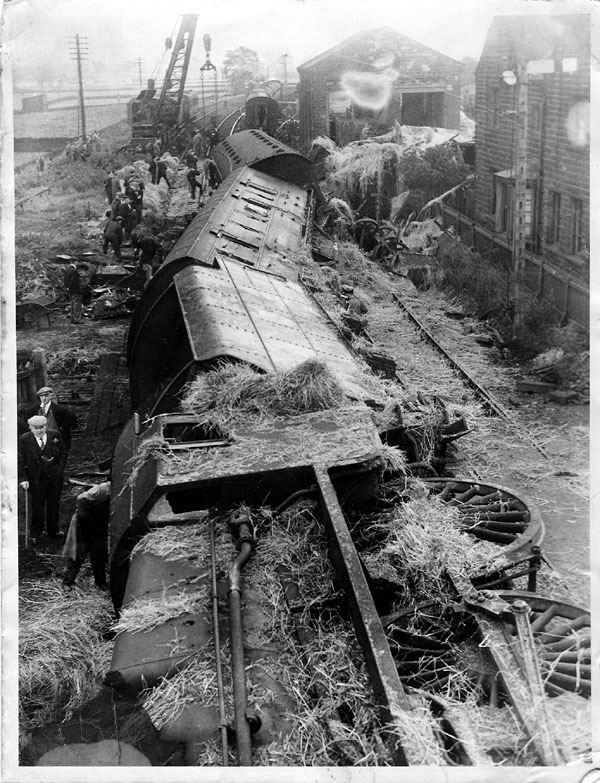 Two wagons were thrown into the garden of the station-master’s house. No one was killed, but four people were injured, though not seriously. In 1959 Mr Hugh Campbell Little, who was then the station-master at Steeton, celebrated 45 years on the railways. Hugh Little was born in Langwathby near Penrith on 26th April 1898, the son of a blacksmith, Tom Little. Hugh joined the railway in 1914 but also served in the first world war with the Border Regiment at Ypres and the Battle of the Somme. He retired as Station Master in 1963 just before the Beeching closure of the station and died in October 1990. With the “Beeching Cuts” around 1965 the station was closed and the station building became an office for a second-hand car dealer; the footbridge became unsafe and was demolished. Movie buffs may be interested to know that Steeton Station (and Keighley Station), along with the nearby Ordnance Works, featured on the 1979 film “Yanks”, which starred Richard Gere & Vanessa Redgrave and was directed by John Schlesinger. During filming Richard Gere, Vanessa Redgrave and other stars stayed at Currergate Hotel. Steeton station re-opened in 1990, but all that remains from the old station is the old station master’s house (now a private dwelling); the station building having been pulled down when the road from Steeton Top to Silsden was re-routed slightly to the side of the older road and over a bridge; the new road’s route takes it directly through the location of the old station building. Interestingly the signal box had a new lease of life, with its frame being used for the Holt signal box. This stretch of railway line was electrified in 1995-6.The other old transport system, which was extensively used during the industrial revolution, was the Leeds and Liverpool canal. The canal was built between 1770 and 1816, the Bingley to Skipton section, which goes past the village, being one of the first stretches to be opened in 1773. 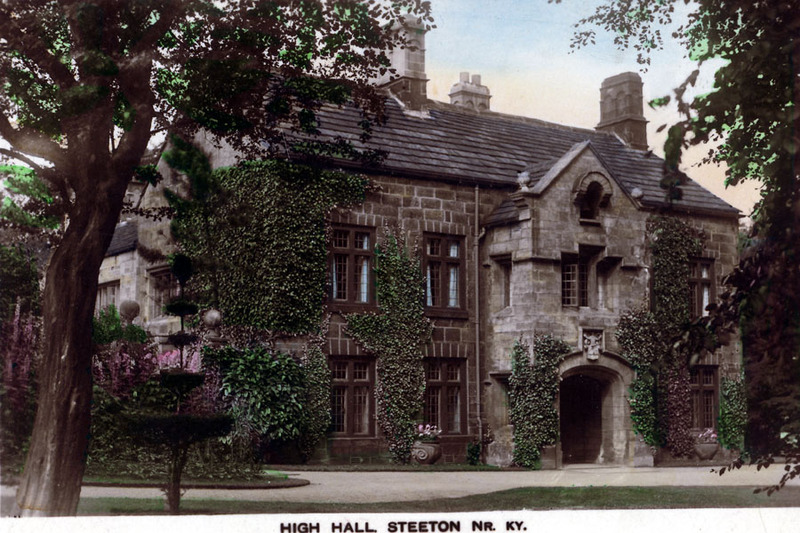 The present Steeton (Low) Hall was extensively rebuilt in 1662 and again in 1863, but originally dates from 1611. It is known however that there has been a large house in, or close to, the present site of Steeton Hall for over 800 years. It may be of interest to local historians to note that the grand entranceway to Steeton Hall in the 18th & 19th centuries was from where the war memorial is now along the side of Steeton Beck. 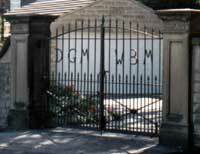 From c1780 onwards this carriage way that led to Steeton Hall began with some splendid Chinese-style gates. 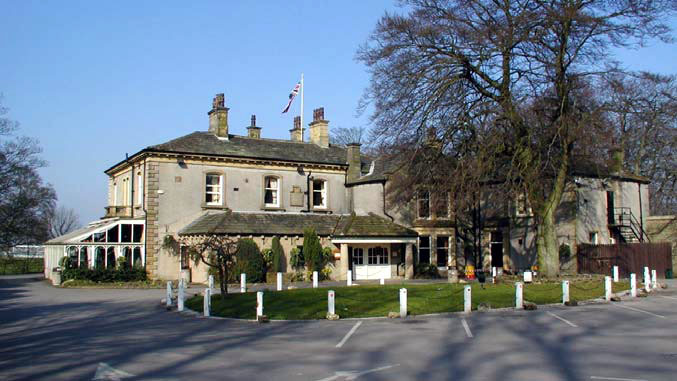 In 1819 Steeton Hall was bought by the Sugden family from the executors of John Baynes Garforth. The Sugden family leased the Hall to several people, one of whom was Joseph Craven; it was Joseph who rebuilt about half of the property in 1863. There was a boarding school at the Steeton (Low) Hall, under the proprietorship of Mr Joseph Riley, which was attended 60-70 boys. This school moved to Pannal, near Harrogate in 1863.From 1904 Steeton Hall was bought by Samuel Clough (owner of a local textile mill and mayor of Keighley), who bequeathed it to his niece Miss Dorothy Clough, a girl guide commissionaire. When Miss Clough died in 1981 the Hall went out of the hands of the Clough family and was bought by local entrepreneur Mr Barry Robinson, around 1982, who converted it into a hotel & restaurant, which reopened on 25th July 1983. Although the ownership has changed it has remained a hotel since then. 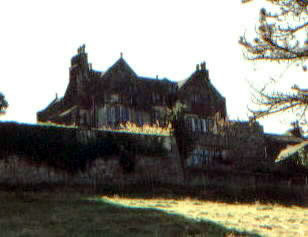 The High Hall (or Elmsley House, or Upper Hall as it has otherwise been known) is another ancient building in Steeton. It was re-built in 1674 by Hugh & Ann Currer upon the site of an even older hall, and then enlarged and altered in 1705 by William Currer. 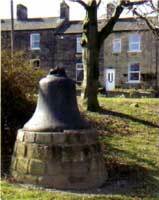 The surname “Currer”, combined with the bell on the Hall’s south entrance, was the inspiration for Haworth novelist Charlotte Brontë’s nom-de-plume “Currer Bell.”Legend also has it that the seven Steeton men who fought at the battle of Flodden Fields cut their bows from a 500 year old yew tree in the grounds of the hall. It was bought by Thomas Garforth in 1786, and by his son John in 1818. It was then bought in 1897 by the world famous photographer, Alexander Keighley , who lived there until his death in 1947, when it passed to his son, Gilbert. It was sold by Gilbert A. Keighley in 1953 to H.V. Jackson, managing director of Ondura Tyres Ltd, Keighley. In 1983 it was bought by Dr Jonathan Maberley and his wife Elaine, who built a revolutionary 5-bed Allergy Clinic in the grounds 2 years later. The clinic was forced to close in 1999 following a change in funding policy by the government. 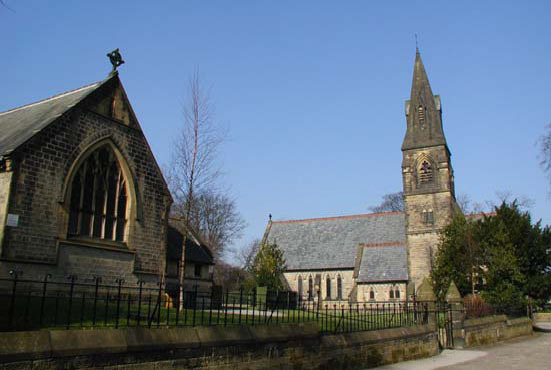 Steeton High Hall is currently owned by the diocese of Bradford, and is know as Kadugli House. Recently the general tendency for the newer houses has been away from Steeton Top and towards Eastburn and Airedale hospital. Steeton Top was the centre of the village during the later part of the 19th century and early part of the 20th century, but prior to that, especially when the Old Bank was extensively used as the main road, the hub of the village was High Street. 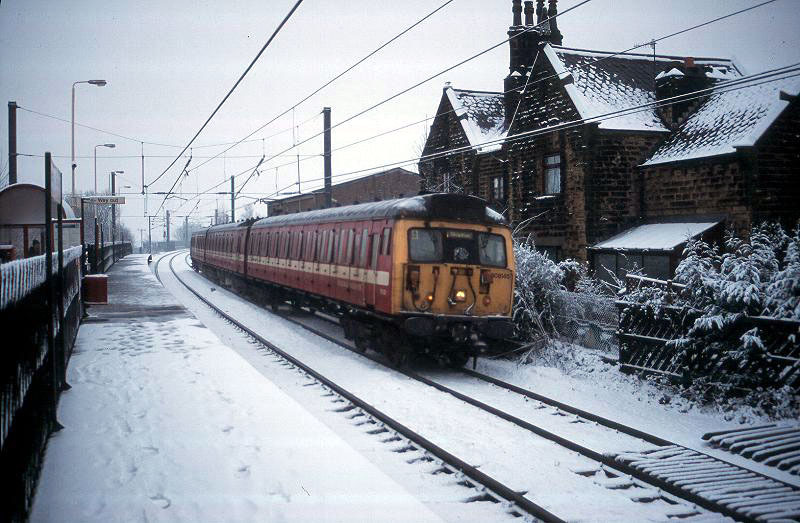 Indeed in the late 1960s the Post Office, following the shift in population, moved to Elmsley Street from its previous location in the house called the “Castle”, at the Keighley side of the recreation field. The two cottages called “Barney’s Castle” or “The Castle” were built by Barnard Green, the landlord of the Goat’s Head Inn, around 1817. 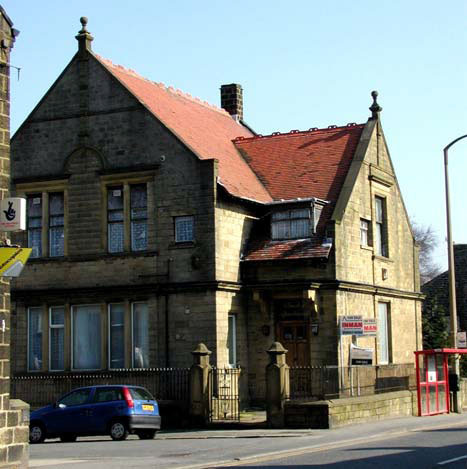 Before it was at the “Castle”, the Post Office had been situated at Steeton Top, since it was first opened in September 1859, at the junction of Market Street and Keighley Road (presently there is a small car park on the site of this building). Park House, (where Pot Lane meets Halsteads Way) is another grand old Steeton house, which has now been converted into separate flats. During the Second World War, Park House was commandeered as a York Diocesan Maternity Home for Unwed Mothers. The Maternity Home was originally Linneaus House in Hull, but with Hull being heavily bombed it was evacuated to the Steeton for the duration of WWII, before returning to Sutton-on-Hull when the war had finished. The Skipton Road Wesleyan Methodist chapel was built in 1888 & the Primitive Methodist Chapel a year later in 1889. The old Primitive Methodist chapel was located on the area of land between the present school and the main road, currently used as the school’s playground. It became dilapidated and was demolished around 1975. The Wesleyan chapel (on Chapel lane) also had to be demolished in 1988 owing to increased maintenance costs, but a new chapel was incorporated into the old chapel Sunday School building, which was alongside the site of the old chapel. 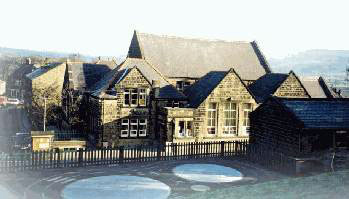 The original Steeton Provident Day School was built in 1851, and opened on 9th February 1952. It cost £263 to build, which included the cost of purchasing for £69 the land from W. Ferguson, who had used it as an orchard. 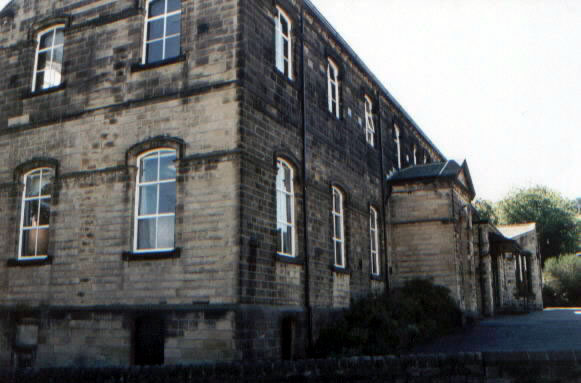 This building now serves as annexe and canteen for the present Steeton County Primary School building, which dates from 1908. The old school building also housed the library from 1855, until it was moved to the Mechanics Institute in Emsley Street in 1900. The first headmaster of the day school was Mr Joseph Wade, who was headmaster for 37 years, from 1851, until his death in 1888. He was replaced in 1888 by Mr Squire Thornton, who was headmaster for 34 years and retired in 1922. Continuing the long-service was the next headmaster Mr John E. Andrews, who served for 30 years between 1922 and 1952. Mr J. Hiley was then headmaster before Mr Sanderson became headmaster in the 1960s & Mr Hayo headmaster during the 1970’s. During the 1980s & 1990s the headmistress was Mrs Bealby, who retired in 1997. The headmistress was then Mrs Chris Newson, until she retired in 2008 after being headmistress for 11 years. The present incumbent is Mr Malcolm Garratt. The village is in the middle of a farming community and is surrounded by some interesting farm houses; not the least being Jubilee Tower farm overlooking the cricket field. 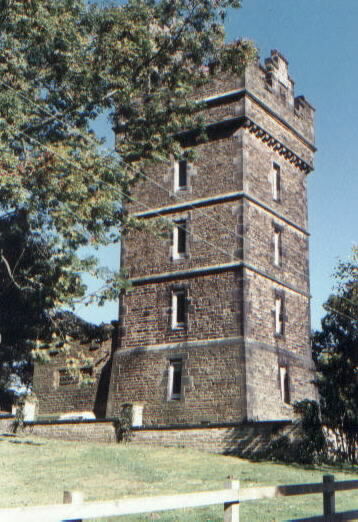 This turreted building, which is reputed to be haunted, was built by Henry Isaac Butterfield (of Cliffe Castle) to mark Queen Victoria’s golden jubilee in 1887. It served as lodgings for gamekeepers and woodsmen on the Butterfield estate, until bought and converted into a farm by Dutch professor Hans Beran in 1947 (he was to re-sell it 5 years later). 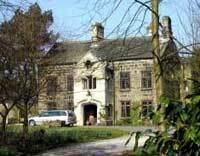 Overlooking Airedale hospital is Currer Wood farm and the imposing, Tudor-revivalist style building of Steeton Manor. It was built in 1894 by Sir Swire Smith, the noted technical educationalist and prominent textile manufacturer, who was liberal M.P. for Keighley from 1915 until his death in March 1918, aged 76. In 1918 the house was sold to Mr H. Wignall Green of Green’s Timber Merchants of Keighley. Currer Wood Farm is now owned by the Emmott family; farmer, George Emmott, being a noted breeder of Shire horses. Steeton Hall farm, to the river Aire side of the village, was also owned by the Emmott family. Other old farms include Coppy farm in the middle of the village and Hawkcliffe farm to the Keighley side of the village, and Redcar to the north of the village. Carteroyd was another large farm to the east of the village, but with its land sold the farmhouse & barn are now residential. 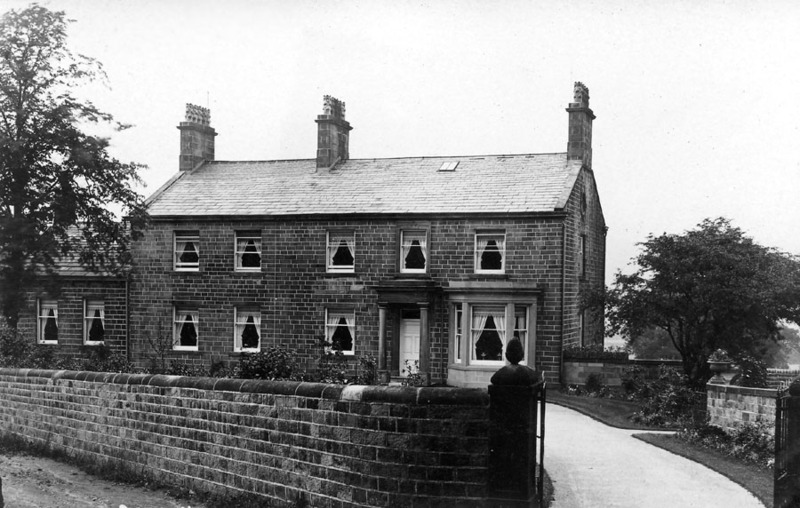 At Steeton Top on either side of the road were the village’s two public houses; the Old Star and the Goat’s Head, until the Goat’s Head was converted into flats in 2016/7. This however is not where either establishment was situated when the Old Bank was still the main route. At the top of School Street is a cottage called “Inglenook” , which was built in 1710 by Edmund & Elizabeth Garforth, and until 1794 (shortly after the re-routing of the main road) this was the original Goat’s Head public house. William Currer, also in 1710, built a house on High Street and this was the original Old Star public house; the present owner is of this house is Robert Wynn & family. In Pigot’s Commercial Directory of 1834 the landlord of the Goat’s Head is named as George Coates, and the landlord of the Star is Joseph Wilkins. The Old Star changed to its new location in 1880. In the 1880’s perhaps the most notorious landlady of the Goat’s Head was Rebecca Teale, who was noted not only for her jollity but also for smoking a clay pipe! In the 17th Century there was also another inn in the village called the “Pack Horse Inn”, which was probably the main inn as it was the only inn mentioned in Carey’s Itenary, published in 1798. In addition Steeton has two long standing drinking “clubs”. At the bottom of Barrows Lane the Soldiers & Sailors Club, and in Low Fold, off Station Road the Working Men’s Club, known as ‘the Dock’ or more accurately ‘The Pondock’. The name ‘Pondock’ is thought to be derived from a South African word “Pondok”, meaning a “crudely built hut or shelter”, and was thought to have been named such by soldiers returning from the Boer War. Other buildings of interest include the vernacular-revival Jacobean style house – Currergate, which was a private home built in 1912 by Norman Dixon Walker, who lived there until his death in 1923. 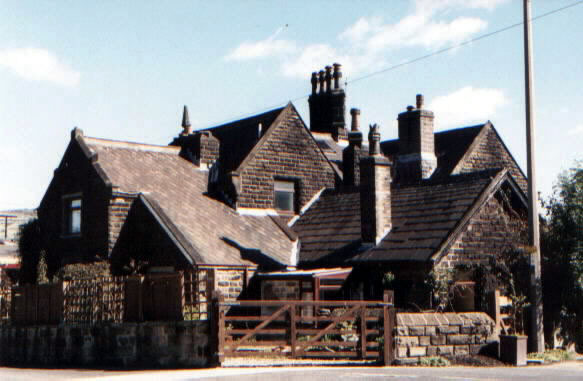 In the 1970s it was converted into a restaurant by the Malatesta family, and since 1982 it has been a nursing home, which was purchased by the Czajka Care Group in 2003; the Mechanic’s Institute which was at the top of Elmsley Street, was built in 1900 by Thomas Clough to replace an older building which had stood on School Street, but having ceased to be an Institute in 1939 it became an Air Raid Patrol headquarters, later it became an antique shop, a carpet showroom and has now been converted into a series of Apartments; the Shroggs , was a house, built in 1874 by Thomas Clough, once owned by William Clough the Liberal MP for Skipton in the early part of the century, and before him John Clough junior, whose book the “History of Steeton” was published in 1886. 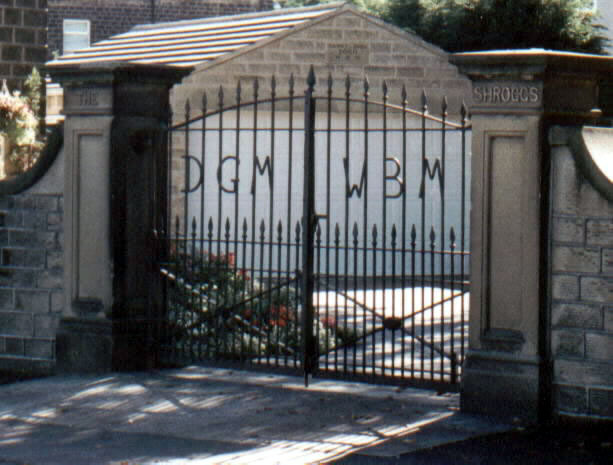 The Shroggs became a plant nursery, then a nursing home, but fell into disrepair and had to be demolished in 1994 – the only thing that remains to remind the present generation of this house is the gate, and the name still on the gateposts that face onto Skipton Road. Airedale General hospital was officially opened on 11th December 1970, by H.R.H. Prince Charles, the Prince of Wales, although the first patients had been admitted on 5th July 1970. Work began on the 32 acre site in September 1966, and was completed in February 1970, at a total cost of £5½ million. The hospital was designed by architect John Poulson (who was later jailed for his part in an unrelated corruption scandal), and it was based on an industrial building system using a pre-cast frame and cladding. The 643 beds when it was first opened replaced three hospitals: Keighley’s Victoria Hospital, built in 1876; St Johns Hospital, Keighley, built in 1870; and Morton Banks Hospital which was built 1896. These three hospitals were closed in July 1970. In 1991 the hospital served a population of 174,000. The village also has a Health Centre on Chapel Lane, until recently an Allergy Clinic at the bottom of Elmsley Street, and for the residential nursing care of the elderly the Willows, Currergate and Steeton Court. Steeton Cricket Club was formed in 1863. Steeton CC had played at three grounds before the outbreak of the Second World War; the first of the grounds being the Shroggs Field until 1877 when it moved to a ground on the Harewood estate, and the second move in 1895 being to the Elm Field ground, which was used until 1943. The Cricket Club was forced to vacate the Elm Field ground to make way for an extension to the Munitions factory testing station during the Second World War. The immediate post-war years saw Steeton without a cricket ground, playing away games only, until the purchase of the present ground on Summerhill Lane from the Dixon family in 1948. The Cricket Club was involved at the inception of the Craven League, being the very first champions of the Craven Cricket Union’s senior league in 1895. The Club’s First XI also competed in that league for the last time in 1897, and narrowly lost in the final of the Craven League’s Challenge cup (the predecessor of the Wynn Cup) in 1898, although not competing in the league during that year. The Cricket Club joined the Airedale & Wharfedale Senior Cricket League in 1953, and enjoyed its most successful season in 1999, winning the Waddilove Cup and finishing as League Champions. In the late 19th Century the first Rugby Union club also came to the Steeton, but while the date of formation is not known, it did disband in 1886. It later reformed under Rugby League rules in the 1900/01 season, but was short-lived; disbanding the following season, but not before winning the Keighley Charity Cup. The rugby club was again reformed in the 1908/09 season, with the Goats Head being the Headquarters & Mr J. Williams providing a field at Whitley Head. This reincarnation only lasted one season, after which it converted to playing soccer! A scratch football team called Steeton FC played their first match in November 1905 beating a side from Haworth 5-0 ! The first properly organised football team was the Steeton Church Lads Brigade, formed for the 1908/09 season. Steeton Amateur Football Club was formed for the 1910/11 season, from a merging of the Steeton Church Lads Brigade & Steeton Wesleyan (formed 1909) clubs, and at that time played on a field at Whitley Head. During this first season, 1910/11, the newly formed Steeton AFC were very successful; being runners-up in the Keighley League and losing in the final of the Keighley Charity Cup 1-5 to Keighley Celtic. In the 1922/23 season Steeton AFC were founder members of the South Craven League. In 1969 the football club had to give up its field near the hospital for new development and moved to the Dorothy Hargreaves Memorial field in Summerhill Lane. The Bowling Club at Steeton dates from 1938 when it was officially opened by Major Hugh Dixon (chairman of the Parish Council). The green had been laid by Maxwell Hart Ltd of Manchester and was made of sea-washed turf from the West Coast. The cost was borne by the £500 bequest in 1935 of the late James Lee, and it was his son Arthur Lee who bowled the first wood. William Clough of the Shroggs had donated the piece of land on Halsteads two years previously & the widow of Norman D. Walker of Currergate had donated money to provide the pavilion. In 1949 a Bowls Trophy in memory of Harold Emmott was presented for competition.